A man was slashed in the face on a midtown street corner, the NYPD said. Nearby, a woman was choked and robbed in a steakhouse within an hour. The crimes appear to be unrelated. Wale Aliyu reports. A man was kicked and slashed in the face while standing on a midtown Manhattan street corner, police said. 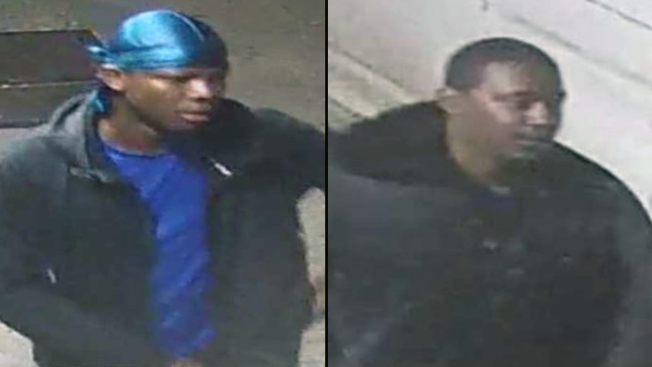 The 54-year-old victim was at 47th Street and Eighth Avenue just after midnight on Friday when two men began kicking him, the NYPD said. They also slashed his face. The victim was taken to a hospital and was in stable condition, police said. No one has been arrested. The investigation is ongoing. Anyone with information is asked to call the NYPD's Crime Stoppers Hotline at 1-800-577-TIPS (8477). Less than a half hour after the slashing, a man choked and robbed a woman in a midtown steakhouse. The attacks don't appear to be related.